A competing sub-story robs this film of narrative greatness. Some films try to do too much. Awe-inspiring performances highlight this story of man vs. Big Pharmaceutical (and its lackey the FDA). Both Matthew McConaughey (as Ron Woodroof) and Jared Leto (as Rayon) transform themselves beyond recognition as they provide radical solutions for those suffering from HIV. Their relationship provides ample opportunity for Oscar bait while tempering the otherwise mundane relationship between Ron and Dr. Eve Sacks (Jennifer Garner). The main story works: Sacks adopts Ron’s perspective (complete with his signature drawl and offensive hand gesture), but it is the inclusion of this sub-story, Ron’s transformation from homophobe to homo-pro at the hands of Rayon’s influence, that weakens the film’s central argument. By stealing screen time for Ron and Rayon, the script fails to convince us of Sack’s change of heart. She changes because that is what characters are supposed to do when she should have developed naturally to that point. Ron’s change and the plight of homophobia resolves early, disappearing from the last third of the film. Sack’s change, with its sparse and erratic development, comes off trite and formulaic. Drop one story to improve the other, or hope the performances outshine any structural deficiencies. 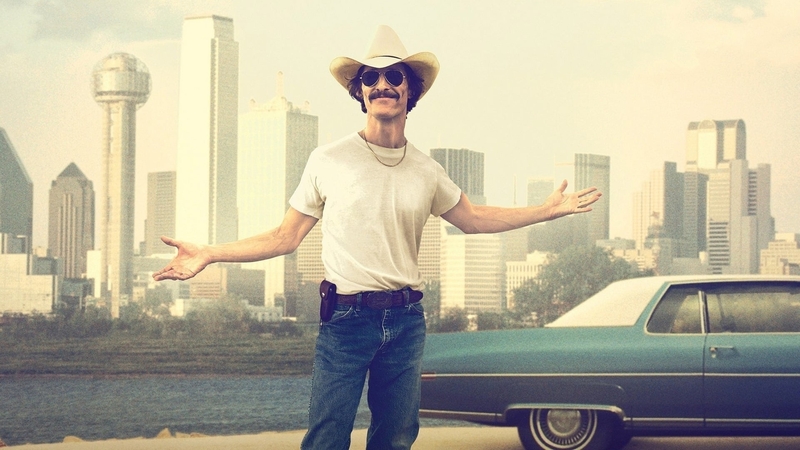 Either way, Dallas Buyers Club falls short of masterful.